Did Suffragettes set fire to yacht? SUFFRAGETTES were blamed for setting fire to a huge luxury yacht in the Gareloch in 1913 . . . but did they? The steam launch Beryl, owned by the 3rd Lord Inverclyde, was moored for the winter in Rosneath Bay and was gutted by a blaze five days before Christmas. Militant campaigners for votes for women were immediately suspected, but no real evidence was found and no-one was charged. Why might Lord Inverclyde have attracted unwelcomed attentions from the Suffragettes? James Cleland Burns, the 3rd Lord Inverclyde, came from a family distinguished in the ministry, in medicine and as general merchants, but it is in the field of shipping that they are best remembered. James Burns (1789-1871), and his younger brother George (1795-1890), later Sir George, were the effective founders of the Cunard Line. James bought the Kilmahew Estate at Cardross, while George retired to Wemyss Bay where he remodelled Castle Wemyss, making it the family seat. George’s son John (1829-1901) succeeded his father as baronet, and became head of Cunard, which by that time was among the world leaders in passenger shipping. 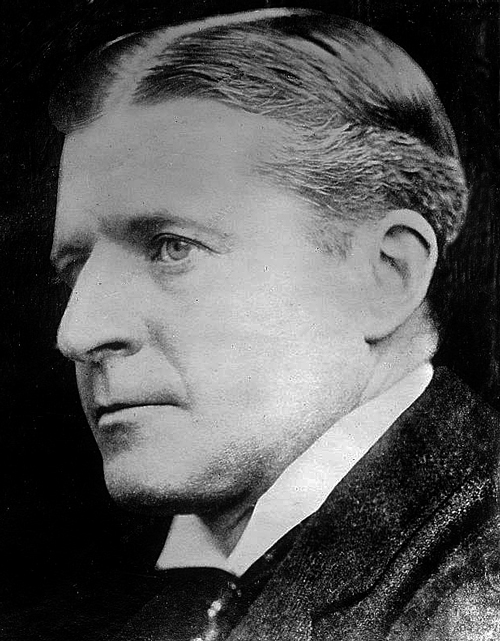 He was created the 1st Baron Inverclyde in 1897. A keen yachtsman, he was among those responsible for setting up the Clyde Industrial Training Ship Association, which brought the sailing vessel HMS Cumberland, a veteran of the Crimean War, for use as a boys training ship in the Gareloch. Lord Inverclyde’s eldest son George (1861-1901) succeeded his father as 2nd Lord Inverclyde, and as chairman of Cunard. Although married, he had no children, and so it was his younger brother, James (1864-1919) who became the 3rd Lord Inverclyde. He bought Hartfield House, a large mansion at Cove, in 1890. Lord Lieutenant of Dunbartonshire, he was an enthusiastic yachtsman, Vice-Commodore of the Royal Northern Yacht Club at Rhu, and a member of the exclusive Royal Yacht Squadron. He was also president of the Scottish Hockey Association, a cricketer, curler, and tennis player. Over the years he owned three steam yachts called Beryl. It was the second of these which came to grief at Rosneath. Built as Emerald at the Linthouse yard of Alexander Stephen in 1903 and weighing almost 800 tons, she was the epitome of luxury. The upper deck was built of teak, she had electric lighting throughout, and there were three powerful Parsons steam turbines to drive her triple screw engines — a most unusual arrangement at that time. Lord Inverclyde bought and renamed her in 1912, having sold the first Beryl the year before. With the loss put at £40,000, the vessel ended her days as a coal hulk on the Gareloch, and Lord Inverclyde bought the third Beryl, a much larger vessel weighing almost 1,400 tons, in 1914. Later the family bought was a fourth Beryl, and they owned eight large steam yachts in all. The Burns family were high profile and powerful symbols of the establishment, with the lifestyle of the very rich. But would this background be sufficient in itself to make them targets for the suffragettes? It is not known whether any of them voiced anti-suffragette sentiments in public, and no evidence of this has been found. The campaign to give women the vote began to find a voice in the second half of the 19th century, but it did not really become an effective force until 1903, with the formation of the Women’s Social and Political Union. Headed by Emmeline Pankhurst, it drew ts membership mainly from women of the upper and middle classes. Always a tireless campaigner, Mrs Pankhurst addressed a meeting in Helensburgh in 1910, following a similar visit by her daughter Adela in 1909. As time went on it became clear that campaigning on its own was not enough to stir the Government, and the WSPU became convinced that it would have to embark on more and more militant action. At first Government property was attacked, but from 1911, private property also became a target. Initially, this meant damage to shop windows and setting letter boxes on fire, but later, targets began to include houses, golf courses, churches and even schools. By 1913 many fire and bomb attacks were being launched. If the Beryl was indeed burned out by suffragette action, it would have needed quite sophisticated planning — and probably intelligence from local sources. It seems that how the steam yacht came to be on fire must remain unexplained. She was fitted throughout with electrical equipment, and it is possible that an electrical fault might have been responsible. Lord Inverclyde (right) was rich enough to overcome the loss of the Beryl, but the future fortunes of the family were not so rosy. When he died in 1919, he was succeeded by his son, John Alan Burns (1897-1957), who became 4th Lord Inverclyde. Like his forebears, he was a keen yachtsman, but unlike them he was no businessman and played no active part in the running of Cunard. A socialite, he was married twice, but when he died there was no-one to succeed him, and the title became extinguished. Castle Wemyss fell into total disrepair, while Hartfield House — later Inverclyde House — was demolished in the 1960s.